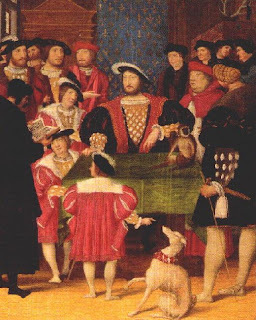 In last week’s post, I offered three possible suspects in the theft of Henry VIII's love letters to Anne Boleyn. If you read this blog regularly then you probably already figured out that I am up to my old tricks....I don’t think any of the suspects is our thief. The clue to who did steal them may even be in one of the letters themselves. Darling, I heartily recommend me to you, ascertaining you that I am a little perplexed with such things as her brother will declare to her. Wrote in his last that he trusted shortly to see her, "which is better known at London than with any that is about me; whereof I not a little marvel, but lack of discreet handling must be the cause thereof. I hope soon "our meeting shall not depend upon other men's light handlings, but upon your own. It is well known that intercepting letters was a common occurrence in the French and English courts. * On August 20th, 1528, shortly after Anne had returned to court, the French ambassador, Du Bellay makes reference to the breach of security in a letter to the Constable of France, Montmorency. He says, “Mademoiselle Boulan has returned to court. The intercepted letters that you sent me about this matter have disquieted them” (1). Was Henry reference to “lack of discreet handling” an indication that he knew his letters were being read? And what would the French court have to gain by reading Henry's love letters? The Greatest of Enemies or Friends? Any sort of affair that could tarnish Henry's reputation abroad was only bound to weaken his position politically too. Most importantly, Henry with a male heir was a far bigger threat to France than Henry with just a daughter. In short, the French had nothing to gain if Henry remarried and produced a heir. Perhaps a French spy for Francis I sold the letters to Clement believing that it would force Clement to denounce Henry. If a French spy did steal the letters, then they underestimated the pope’s desire to rule on the matter. 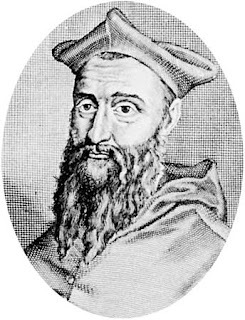 As discussed in last post, Pope Clement VII needed time not evidence in the King’s Great Matter. *Political letters with sensitive information were often written in cipher. Can't wait to see what you'll post!! hmm. interesting.. i love the way henry envies Francis all the time..
hmmmm. yes It seems Henry and Francis were either wrestling each other to the ground or pretending to be "brothers." I haven't read much about Francis.. from his point of view. but I think Henry was more jealous of Francis then Francis was ever of Henry. TO me Francis seemed to make fun of Henry. In that way I kinda pitied Henry.. he seemed to have struggled a lot.. mostly it was his own fault too.. I agree. But I think Henry had more reason to be jealous of Francis. In the first half of the 16th century (with the exception the disastrous Italian Wars and the rocky period Francis went through imprisoned by Charles ), France was the center of wealth, culture, art and had far more military power than England. It was only until after 1540 when developing court factions weakened France politically and eventually led to the religious wars that it started to lose its position as center of the Renaissance. Also, the two kings had very different attitudes toward their faith and Francis mocked Henry’s remarrying and his hypocrisy as ‘defender of faith’ on several occasions. But I do truly believe that Francis’ ultimate goal was always peace with England. And reports do account that he was deeply upset by Henry’s death...probably because it signified that his own time was coming. so true.. i think i will read more on Francis now.. he was quite interesting character as well.. along with him mother and sister..who all did what they can to make sure he gets the crown eventually.. Yes, they did have much in common and I think they generally did feel a love for each other even if it was a strained relationship. I recommend any book by R. J. Knecht. He is the leading historian on Francis I.